Pick up silver kettle. Turn on sink faucet. Use kettle on water. 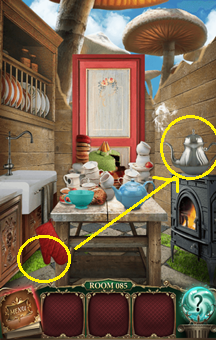 Pick up oven mitt and pick up hot kettle. Pour hot water into blue teapot. 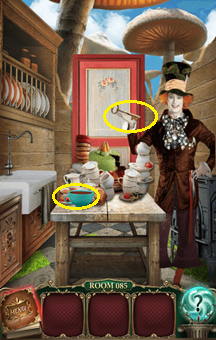 Pick up teapot and put tea into blue teacup to get key.